Highland head coach Davie Carson. Highland will automatically progress to the second round of the National League Cup after today’s opponents Glasgow Accies withdrew due to being unable to raise a team. The Canal Park side were yesterday informed of Accies’ intention to withdraw, meaning Highland have been spared the journey to New Anniesland. Highland faced a similar situation at the tail end of last season when it took three attempts to play their match against St Boswells, when the Inverness outfit needed just two points to clinch the National 3 title. Highland eventually triumphed 71-10 on the last day of the campaign on May 5. The consequences are far more simple on this occasion, with Accies eliminated from the competition and likely to be excluded from next year’s draw. Highland head coach Davie Carson expressed his surprise at Accies being left short, with the Glasgow side having also won promotion to the Scottish League Championship third-tier for the new season. 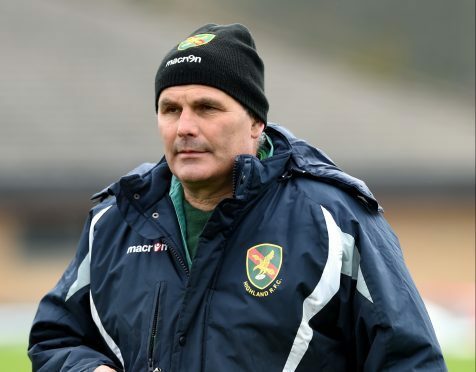 He said: “It’s bad enough happening in National 3, but for a National 2 team it’s really poor. “They claimed that injury and illness meant they couldn’t field a team, I imagine it will be the normal front row issue. Carson is disappointed his players will not have a competitive fixture ahead of their opening league game at home to Preston Lodge next Saturday, and he added: “We go through to the next round but I wanted a game to prepare and get all the guys up to speed with full contact before the league starts next week.